Can a SUV convey the same emotions of a sporty sedan? Stelvio was created to answer that genuine Alfa Romeo driving pleasure can be amplified and elevated. Its high yet sporty driving position is an exclusive premiere. The feelings you get at the wheel of Stelvio are an absolute breakthrough in the world of SUVs. So, let's get on top of it. The extreme lightness, the outstanding steering wheel ratio and the optimal dynamic balance of Giulia are conveyed in a new form. Thanks to its innovative platform, Stelvio perfectly matches the handling of a sporty car with the comfort of a traditional SUV. There is plenty of room for everything that daily life brings on, but there is no room for conformism. State of art technologies for safety and infotainment. A lightweight body structure and a carbon fibre driveshaft. A wide range of efficient yet outstanding powertrains and patented dynamic solutions. For the Brand it's time to sign off another masterpiece in innovation, staying true to its unique approach in creating cars. 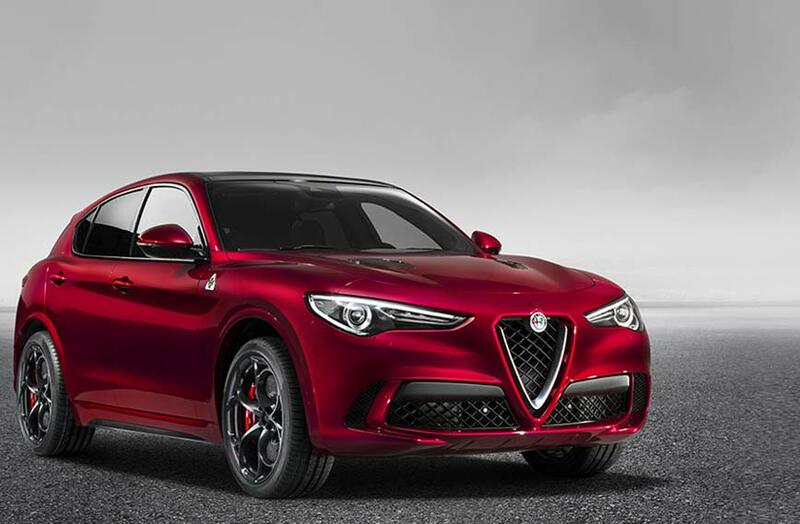 Stelvio is the Alfa Romeo that can rethink the plot of SUV's history, with a new emotional twist.